Did you know we are prepared to accommodate almost any custom design or development need? 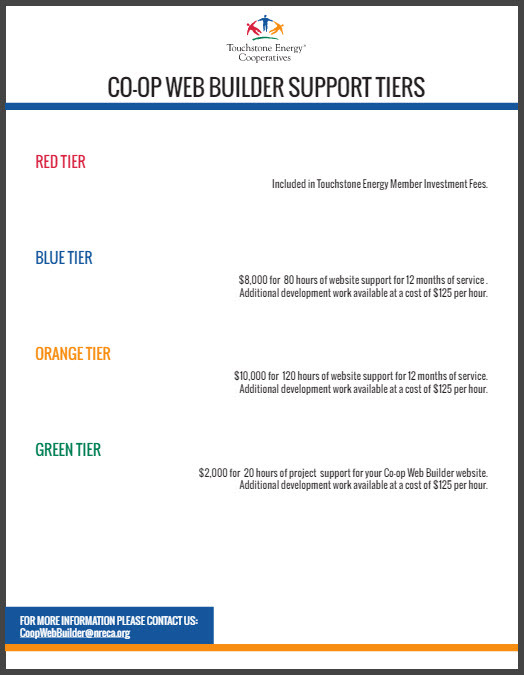 Co-op Web Builder offers several different development support tiers based on your cooperatives' unique needs and requirements. Sometimes the free tier doesn't fit the bill and we get that, which is why you can reserve personal development time with our professional Drupal development staff.